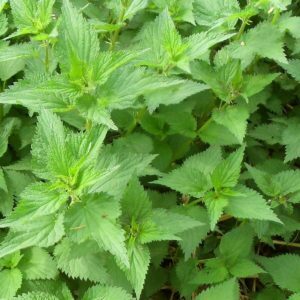 Nettle Beer Recipe – How to Make Nettle Beer - Home Brewing, Wines & Beers etc. This nettle beer is a refreshing drink for late spring and early summer. It is easy and simple to make. Drink it fresh, it won’t keep. Pick only young nettles for this nettle beer, either the first flush of the year or if you cut a nettle patch down, the re-growth. Use only the tops, not the roots. I’d suggest wearing gloves for picking. If foraging for your nettles, avoid picking from busy road sides where they may be polluted with diesel soot particles from traffic. Also avoid picking nettles from paths used by dog walkers as the aroma will not enhance your nettle beer! The original recipe doesn’t specify any type of yeast but I think it would probably work best with a beer yeast rather than a wine yeast. Briefly plunge the nettles into a sink full of cold water to dislodge any insects. Remove and place into a pan with the thinly peeled rind of the lemons. Avoid the pith and, if using waxed lemons, remove any wax with hot water prior to peeling. Add the water to the pan and bring to the boil. Keep on the boil for 20 minutes and then strain onto the sugar and the cream of tartar. Stir well to dissolve all the sugar. Leave to cool down to room temperature. Once at room temperature (between 20ºC and 25ºC) add the juice of the lemons, stir and then add the yeast. Cover the pan with clean tea-towel or similar and keep in a warm room for 3 days. Move to a cool room for 2 days. If you have central heating, perhaps a garage would be cooler than a room indoors. Strain and bottle into suitable strong bottles. If the beer is still fermenting vigorously, leave the lids loose for a day or two until it settles down. Keep in a cool place for a week and then drink and enjoy your nettle beer.